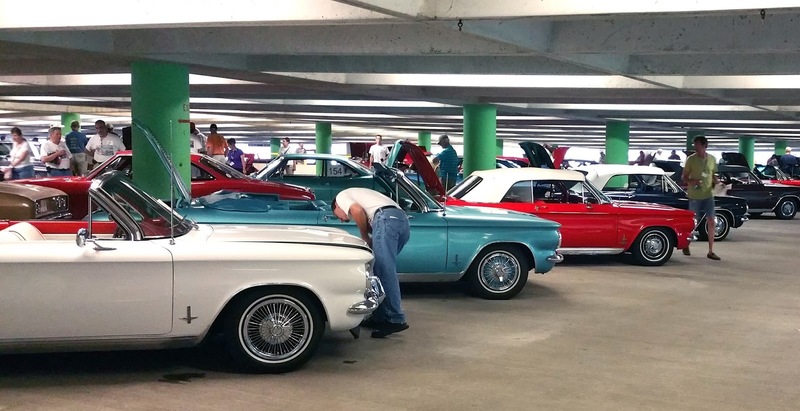 I attended the last day of the 2015 Corsa International Convention, which celebrated 50 years of the 1965 Corvair. The convention was June 23 - June 27, 2015 and I guesstimate that at least 100+ cars and 400+ conventioneers attended the event in Knoxville. 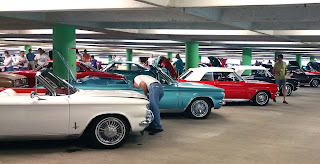 I own a 1965 Corvair Corsa 140 and it was great to see so many near perfect examples, including Lakewoods and Greenbriars.